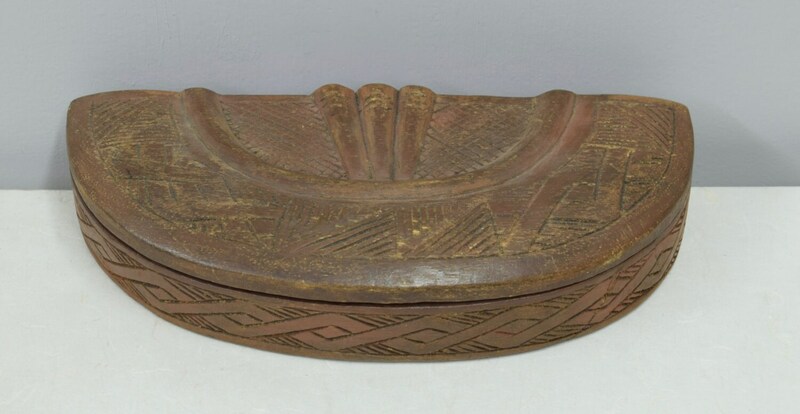 This is a beautiful incised carved wood half moon shaped lidded Tukula Powder Box carved by the Kuba people of the Congo. Tukula is a red powder that is finely ground from parts of the Camwood tree. To the Kuba it is an immensely valuable substance, the Western equivalent of gold. Tukula is both auspicious and prophylactic. Its earthy or purplish red color is used abundantly in decoration, rubbed onto items such as cups, containers, figures, weapons, oracles etc. to honor and beautify them. Tukula is also used to bless people like new born babies, pregnant women, new mothers, warriors, the diseased and the deceased. It's usually applied after having been mixed in a special wooden or clay dish with oil extracted from palm-kernels. 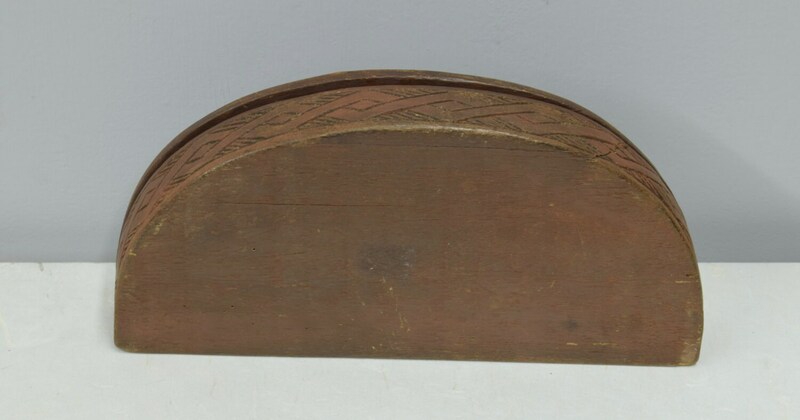 Tukula will be preserved in special decorated wooden boxes that come in many shapes, sizes and designs. Each Box is uniquely carved by the family. 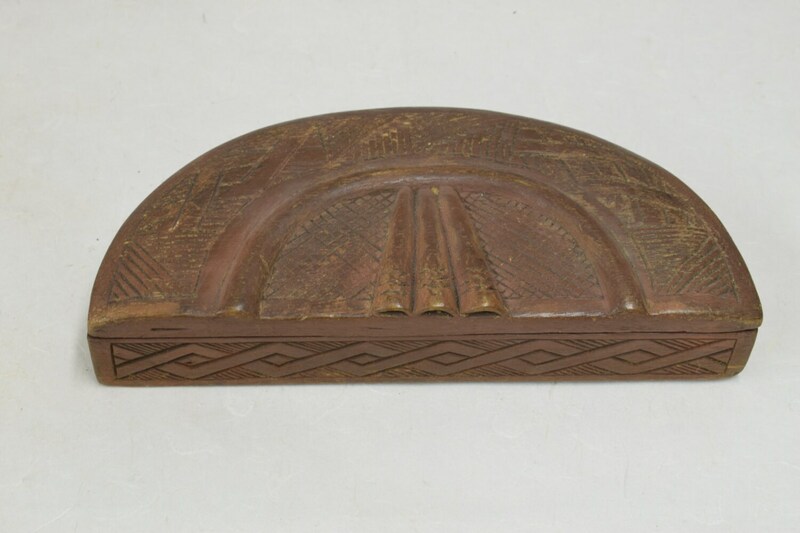 This particular Tuluka box is intricately carved and shaped. 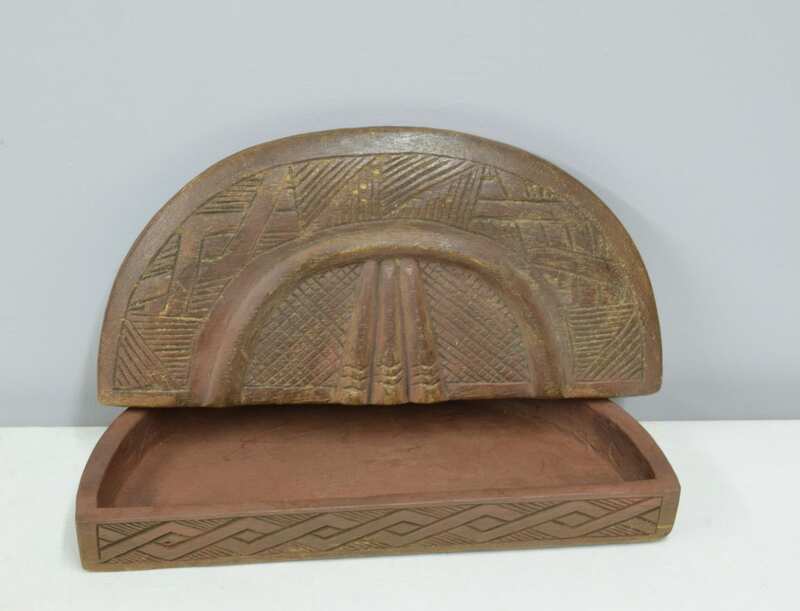 This box would be beautifully displayed in your home or given as a wonderful gift. I HAVE JUST PURCHASED A PRIVATE COLLECTION OF TRIBAL ART THAT HAS WAS COLLECTED IN THE FIELD AND WAREHOUSED FOR 25 YEARS. I WILL BE LISTING THESE WONDERFUL ITEMS FOR SALE. Shows age, cracks and some discoloration, but in good condition.